3. 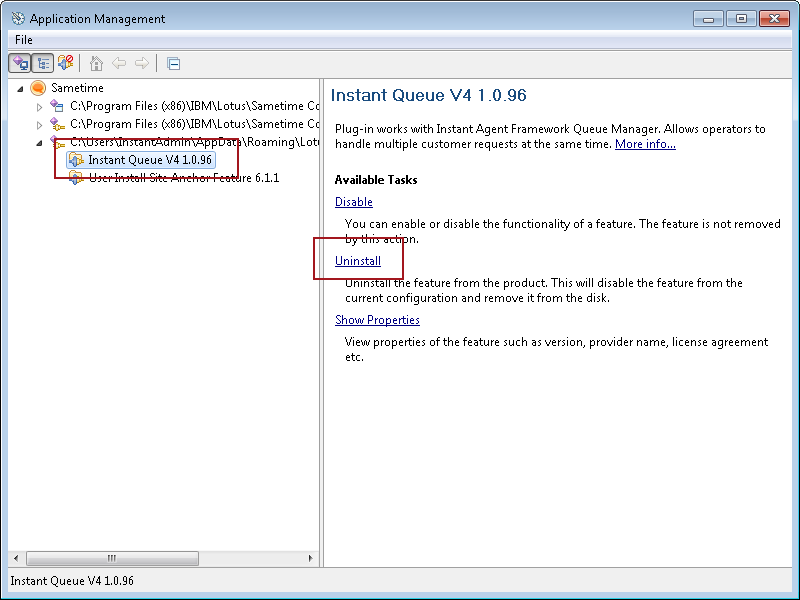 Next, you will be presented with the following dialog, find and select the plug-in "Instant Queue V4" or "CannedResponses" (for V2) and click on highlighted "Uninstall" link option. 4. Next you will be prompted to uninstall the plug-in. 5. 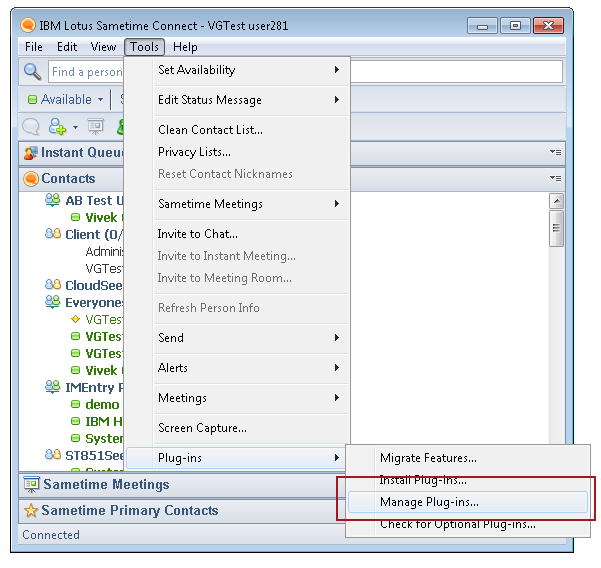 After the plug-in has been uninstalled you will be prompted to restart Sametime client to complete the uninstall process.